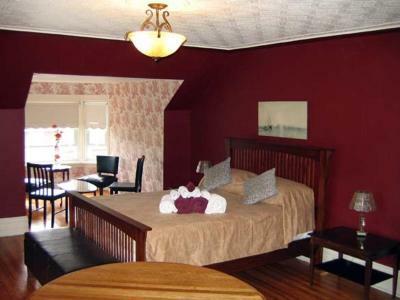 Lock in a great price for The Colonel's Inn – rated 9.3 by recent guests! 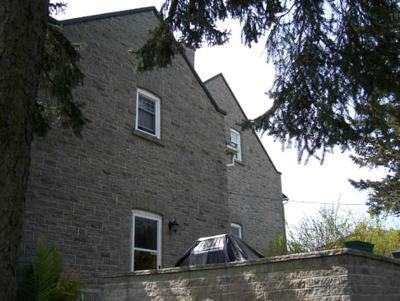 Very nice B & B, host was very helpful. 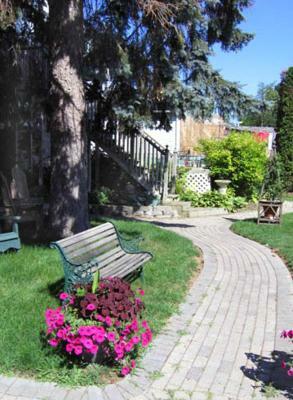 I had a porch area off of my room, my favorite place to hang out and enjoy down time. Breakfast was very good. Mike and his wife are very nice people! Good location! Excellent breakfast. The bed was very comfortable. The breakfast being done for us, hospitality great. I loved the welcoming staff and the attention given by manager included tips to visit and about the city. I would like to emphasize the very tasty breakfast. Great option!!! Romantic rooms that made you feel special; having our own private closed in balcony; the clean, warm swimming pool and the welcoming host that made us feel like we were at home and not intruding. A very special place where you feel yourself immidiately like at home. The breakfast is extraordinary and guarantees a perfect start into the day. 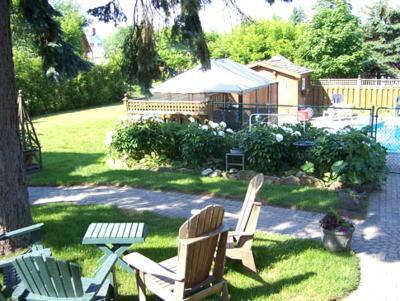 This Victorian-style Inn in Prescott, Ontario features an outdoor swimming pool. 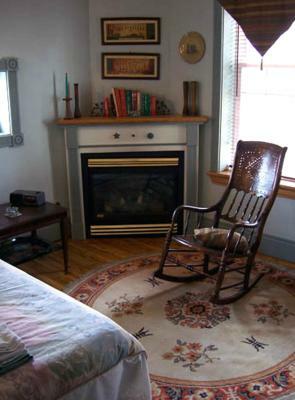 Individually decorated rooms boast a fireplace. Fort Wellington National Historic Site is just 3 minutes’ walk away. Select rooms have a fridge, microwave and toaster to provide in-room convenience at Colonel's Inn. 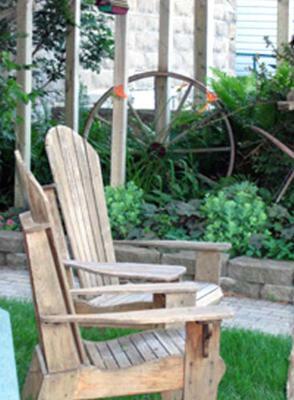 Guests can also relax in the seating area and watch TV. 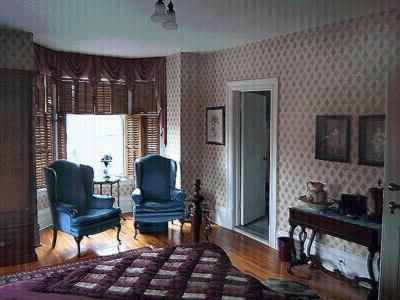 Rooms feature unique décor and period furnishings. 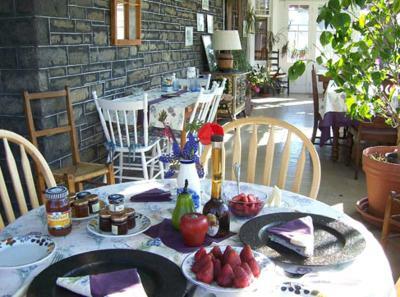 Guests are treated to a full cooked breakfast and an assortment of cereal, yogurt, juice, milk, coffee and tea. 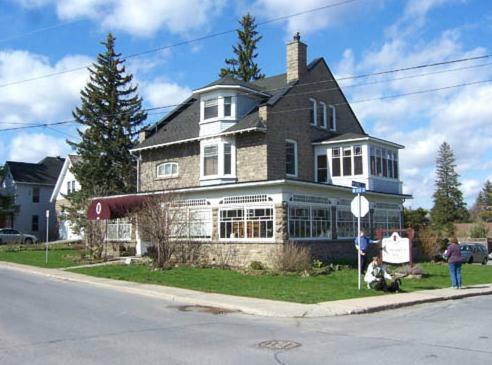 Colonel’s Inn Prescott is located on Waterfront Cycling Trail. Saint Lawrence River is 7 minutes’ walk away from the Inn. Prescott Golf Club is 2 minutes’ drive. 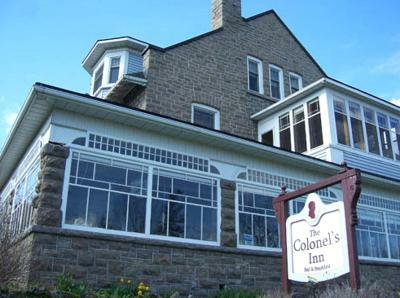 When would you like to stay at The Colonel's Inn? Also known as the Colonel's Suite, this spacious suite features a flat screen TV with cable channels, air conditioning, mini fridge and a large 4-piece bathroom. Also known as the Upper Deck Suite, this three-bedroom suite features a Keurig coffee maker, microwave and a mini refrigerator. The master bedroom has air conditioning and cable TV. 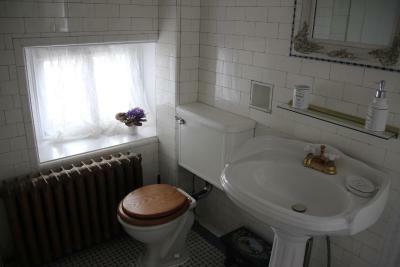 The suite has it's own private bathroom. Free WiFi is provided. Maximum occupancy is 8 guests (see Hotel Policies). 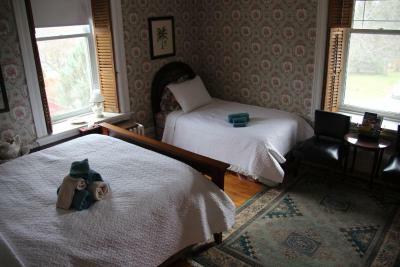 Also known as the JD Cromb Suite, this room has cable TV, air conditioning, a fireplace and an private bathroom with shower. Also known as Flora's Room, this room has a flat screen TV with cable channels and air conditioning. 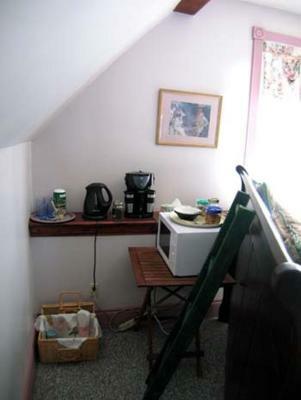 It shares a bathroom located down the hall. Located on the upper floor and also know as the Loft room, this suite features a spa bath, a gas fireplace, a coffee maker and a mini fridge. 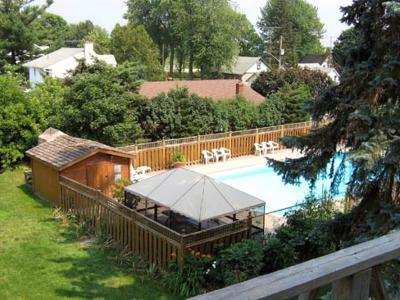 It opens out on to a balcony overlooking the pool. 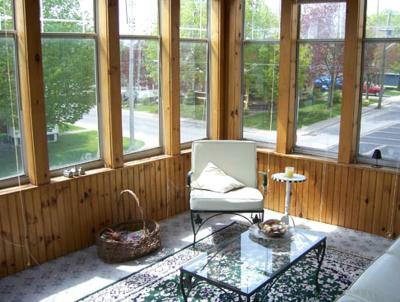 Offering a private sunroom, this suite includes a queen size bed, flat screen TV with cable channels and air conditioning. 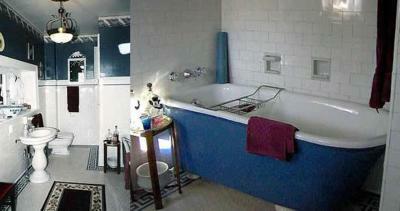 It has it's own 2-piece bathroom and shares a bath/shower located down the hall. 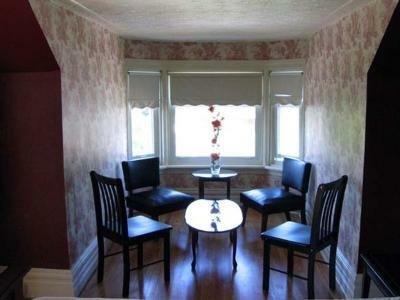 This room type is also known as Sarah’s Suite. Maximum occupancy is 2 guests (see Hotel Policies). 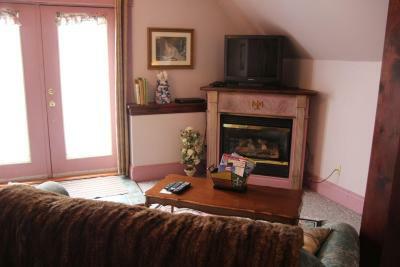 Also known as O'Higgins Suite, this suite has a toaster, cable TV and fireplace. 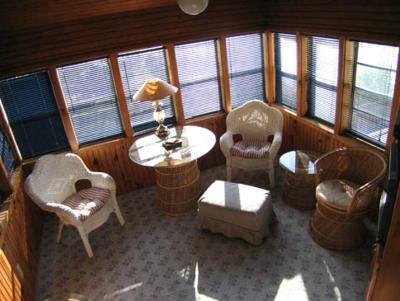 Also known as Isabella's Room, this room opens out on to a sunroom offering a private seating area. This room has flat screen TV with cable channels and air conditioning. 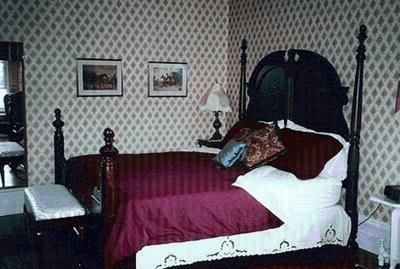 Isabella's has shared bathroom facilities and can be opened up as an adjoining room to the Colonel's Suite. Also known as Donald's Room, this room has 2 single beds, a flat screen TV with cable channels and shared bathroom facilities. The Colonel's Inn is a historic building which was built in 1835 to house Colonel Alexander McDonnell and troops from the local fort. 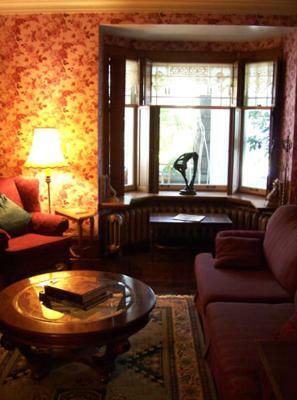 It is a gorgeous Bed and Breakfast with 9 suites, a carriage house, enclosed deck, and heated pool. House Rules The Colonel's Inn takes special requests – add in the next step! One child under 12 years is charged CAD 12.50 per night when using existing beds. All children under 12 years are charged CAD 12.50 per night for extra beds. 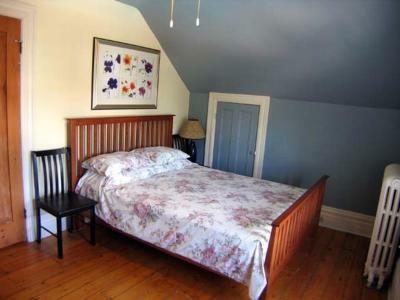 Any additional older children or adults are charged CAD 25 per night for extra beds. The Colonel&#39;s Inn accepts these cards and reserves the right to temporarily hold an amount prior to arrival. The Colonel's Inn accepts these cards and reserves the right to temporarily hold an amount prior to arrival. ...this bed to be very comfortable, firm, like I like a bed to be. 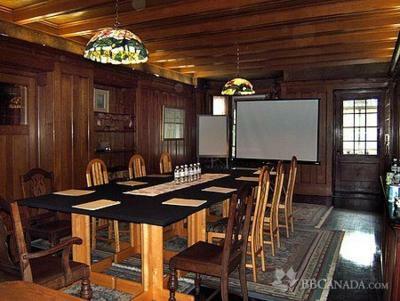 However, if this room is to be let to guests, I would suggest that it be available only to singles, not couples. A twin bed would reasonably fit in the space available, with enough room remaining to allow for a table or dresser or, at the very least, a folding suitcase rack. At present an irregular alcove allows for placement of a tiny chifferobe, on top of which, by necessity, is set the tv. There is no place in the bedroom to put purse or suitcases, so we set ours on the floor in the hallway. In order for me to sleep (I’m just claustrophobic enough to make such a tight space a potential nightmare) we had to leave the door into the hallway open at night. 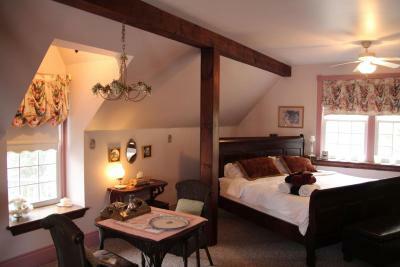 In conclusion, I would definitely recommend the Colonel's Inn in general, if not Sarah’s Suite in particular. The inn is so pretty, and in its Christmas finery, which was still on display during our stay, the parlor and dining room were absolutely lovely. The breakfast is tasty and the coffee unlimited. Mike is an attentive host (his wife was away for the winter holidays while we were there, so we did not meet her), and just by coincidence one of our co-guests was the Brampton Batman, which was fun. (You have not lived until, quite without advance warning, Batman steps into the dining room in full regalia and calmly says good morning.) I would be delighted to stay at the Colonel’s Inn again, but I think next time I’d book the room called the Colonel’s Suite (referred to as the Executive King Suite on booking.com). 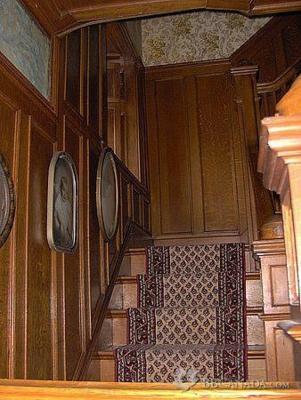 The colonel’s quarters’ en suite bathroom would make middle-of-the-night trips down the main hall unnecessary, and (I know because I sneaked a peak at the suite of course; in my defense, at the time the it was un-let and unoccupied!) 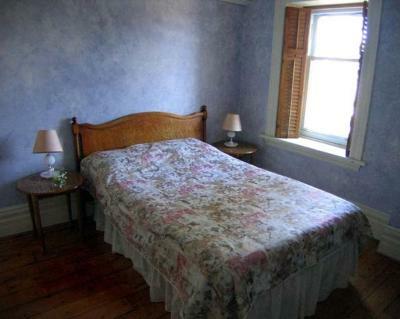 I think it’s safe to say that, in the colonel's roomy bedroom, claustrophobia would definitely NOT be an issue! It's a nice change than the big chai hotels and offers the same. I have been places with shared bathrooms and it is usually just 2 or 3 rooms for that facility but it seemed ours was shared with 4 rooms. Unfortunately one couple treated it like it was their own private one and monopolized it for over half an hour in the morning when we were trying to get ready to go for breakfast. Perhaps a note to suggest limiting time, particularly first thing in the morning when there is a lot of demand would be helpful. Nothing to complain about, everything was just perfect! Didn"t like having to share bathroom. Next time we will inquire to make sure bathroom is included. We noticed a few areas that could have been cleaner - room was a bit dusty in corners and in the bathroom. Dining room floors and walls had cobwebs and dirt on the floors - needed a good sweep/vacuum. Would have been nice to have real milk or cream for the in-room coffee, since the was a mini-fridge. No big deal, though. 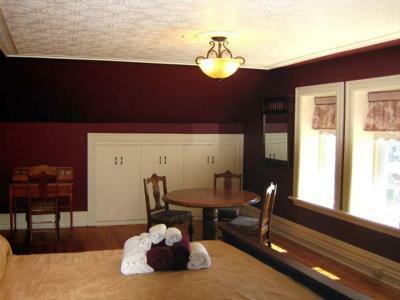 We loved our room in the carriage house. Loved the pool - the water was perfect. Breakfast was good. 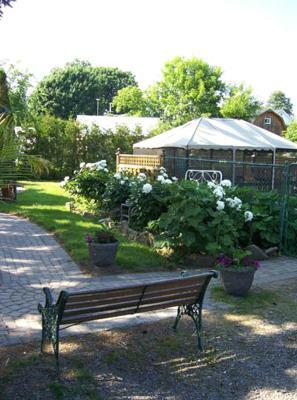 A beautiful but unpretentious place to stay. Bath towels were huge! Every thing, the history, location was great as you could walk all around town & waterfront. 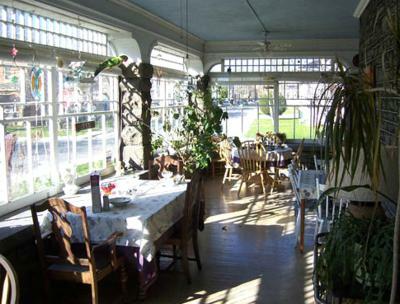 We enjoyed our breakfast & the owner was fun to joke with but also very helpful & could answer all of our questions. OK, maybe I didn't read the find print, but the bathroom was "down the hall". 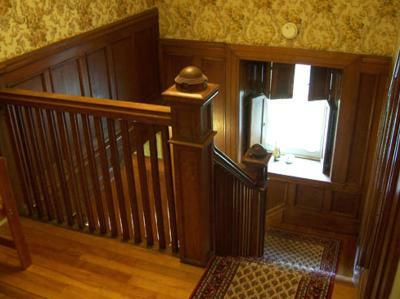 Then again, we were the only guests at the second floor so, for all intents and purpose, it was "private" enough. 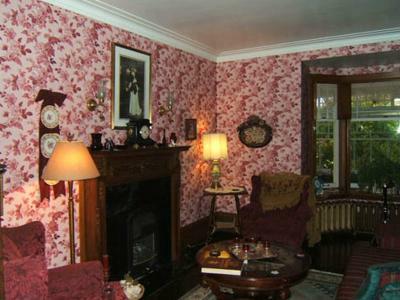 Very charming B&B. 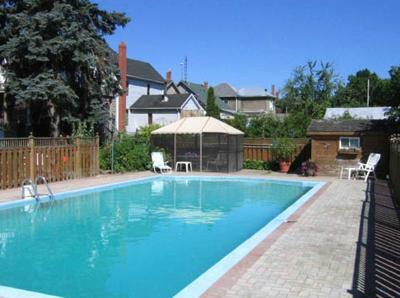 At the price (under C$140 including taxes), why stay anywhere else? The bed was comfortable and, even though our room (Isabella's) faced the street. was very quiet. 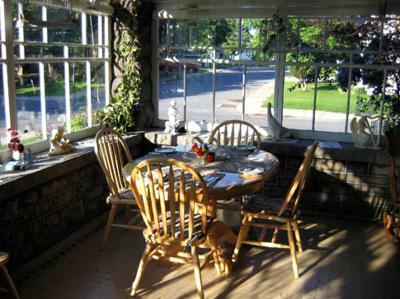 The attached (south-facing) sun room was a wonderful place in the morning to sit in a rocking chair and enjoy a cup of coffee, obtained from the Keurig machine in the hall. Breakfast was excellent, starting with a fruit cup and yogurt, followed by toast and croissants, and then by cooked-to-order eggs and bacon, mushrooms and tomato. Room was very dark with not much lighting.